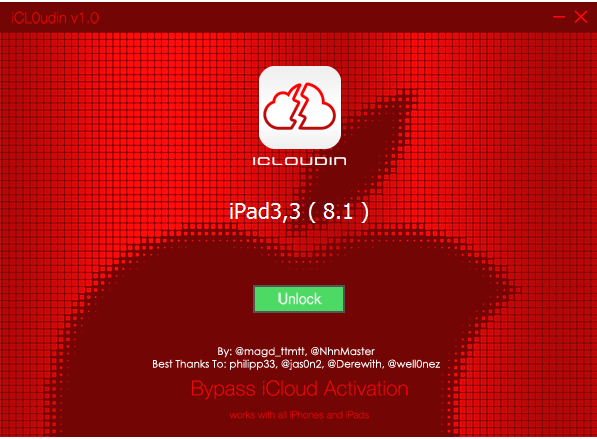 icloudin bypass icloud Activation New update now working directly on itunes with CAPTCHA for overload prevention. Finally we got it! We create a new way to bypass iCloud on all iDevices. For free!! Magd Almuntaser the developer behind the new software is getting some problems with the server , as all must know there is many people try icloud bypass at this moment and some of them have more them 10 devices to unlock , to get one estimative 10.000 devices try connect in just few minutes , so its impossible do it , at this moment needs more restrictions or server update , icloudin team is trying fix the server updating the system. Since yesterday there is some people showing proofs with pictures of many devices unlocked , so this is great because all people must now pleased -your device maybe the next one activated.